Thud!! The metallic echo reverberates through our tiny aluminum boat, buzzing our hands through the icy railings. My breath quickens with anticipation drawing in the dry, arctic air. The boat captain was doing his best impression of a slalom skier, but instead of tightly swerving around flimsy plastic poles, these were solid blue and white icebergs. Yes, real ICEBERGS!!! The jarring sound from before was an ice chunk ricocheting off the boat’s hull. 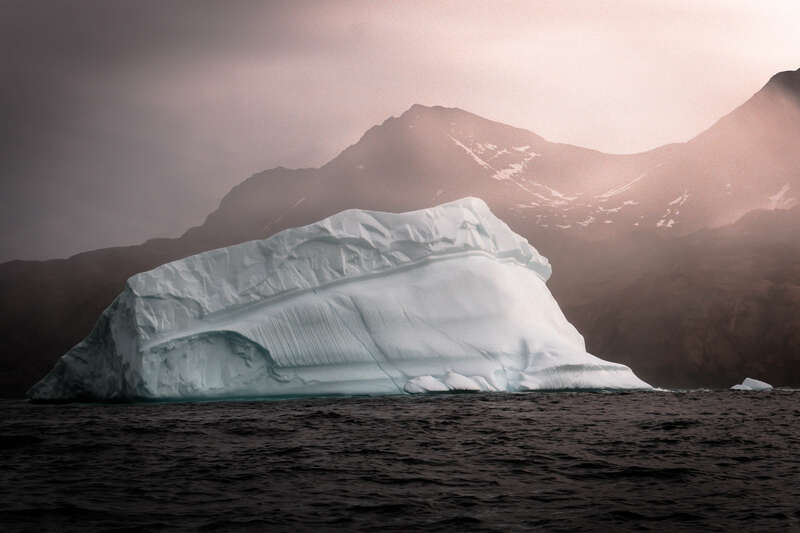 This mountain fjord we were traversing was scattered with icebergs ranging from the size of a basketball, to a van, to a house, to an entire city block. We were navigating our way to the edge of the Knud Rasmussen glacier, part of the Greenland icecap, to photograph the ice creak, crack and calve off into the sea. This was our first introduction to the raw beauty of East Greenland. 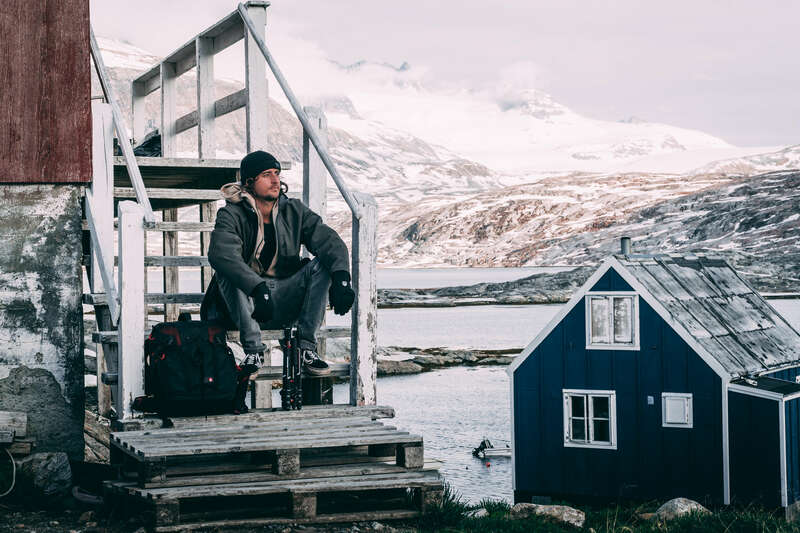 We were traveling on a photo/video assignment sponsored by Greenland Tours to explore this unique region. Tasilak, our home base for the week, is still rich with local Inuit culture and has very few signs of first world tourism. No busses jammed with pop-out photographers, no brochure filled offices, no recognizable stores. In fact, there’s only one tiny grocery that gets bi-monthly food stocks and a newly opened coffee and ice-cream shop that’s become the new town hangout. It’s the polar opposite of it’s closest neighbor, Iceland. However, the locals say all this is changing quickly and the region is on the cliff’s edge of a tourism boom. The magnetism of the area for travelers are the extreme landscapes with a rare combination of natural phenomenon, geology and wildlife you can’t find anywhere else on the planet. It’s an uncharted, icy paradise for photographers. Accessing locations and working in this harsh landscape brings a variety of challenges. The region has few roads or even trails. 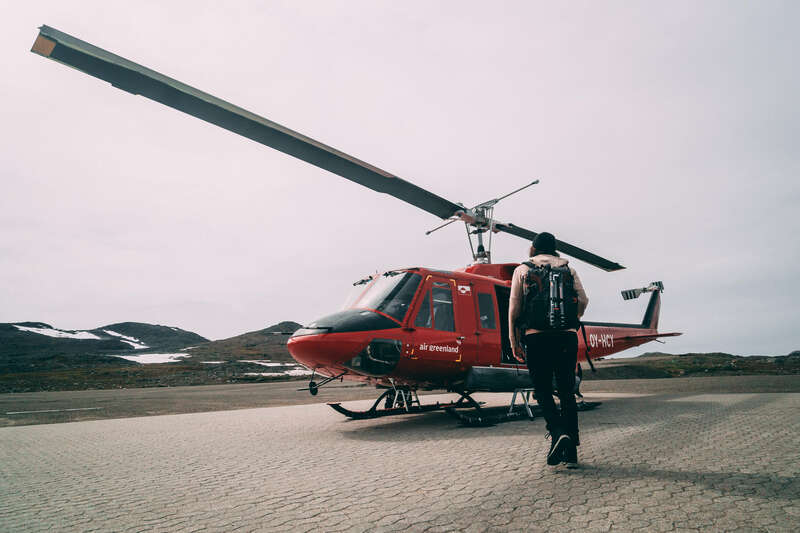 You typically find yourself squishing through hilly tundra and marshland, crunching in crampons across the icecap, scrambling ridge lines and moving between locations via small planes, helicopters and boats because there are no other means to travel between towns. The offer from your bed and breakfast host to take a rifle (for polar bear protection) every time you leave, charges you with a steady buzz of adrenaline for your entire trip. The weather and lighting also change rapidly in the arctic. 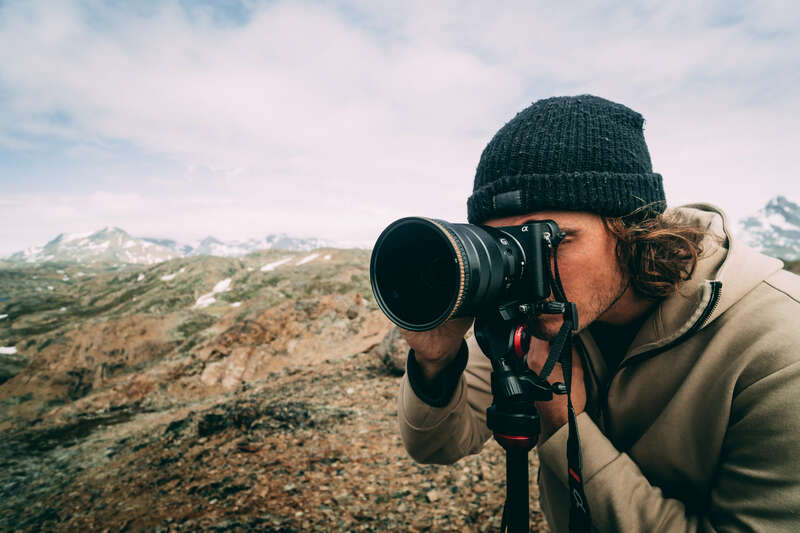 All of these factors require you to have a lightweight, agile camera setup to work effectively and capture the magic of this place. 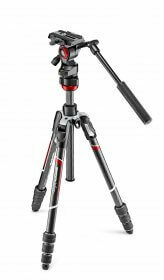 We were testing the new Manfrotto Befree Live Carbon Tripod and the ProLight 36L camera backpack. The tools paired perfectly with the environment. 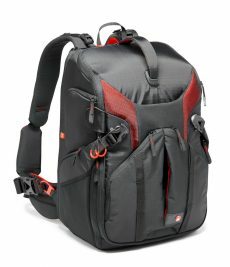 They’re both compact, super lightweight and customizable to arrange for whatever we were planning to shoot that day. 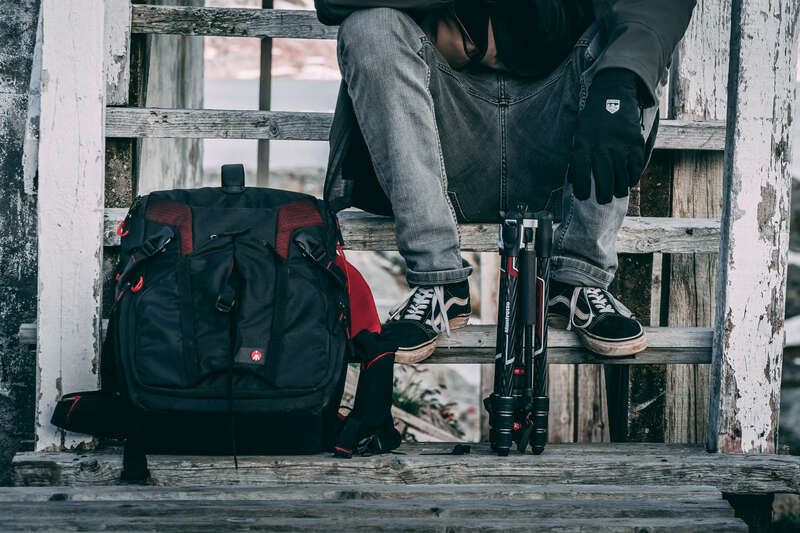 There’s plenty of space for the large Phantom drone, DSLR, a variety of lenses and filters and a tripod attachment with fast access to everything. 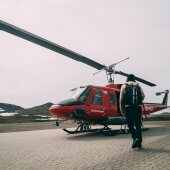 Each environment we shot, from the demanding glacier hike, to the Mad Max landscapes of an old WWII base, to winding our way through colossal blocks of ice in the Sermilik Icefjord, tested different features of the gear. On the glacier trek, we roped up with our Italian alpine guides as they led us through the maze of crevasses to the edge of an icefall. We anchored with screws and a safety rope to provide a secure zone to shoot our friend’s climbing demonstration with the most stunning backdrop we’d seen yet. 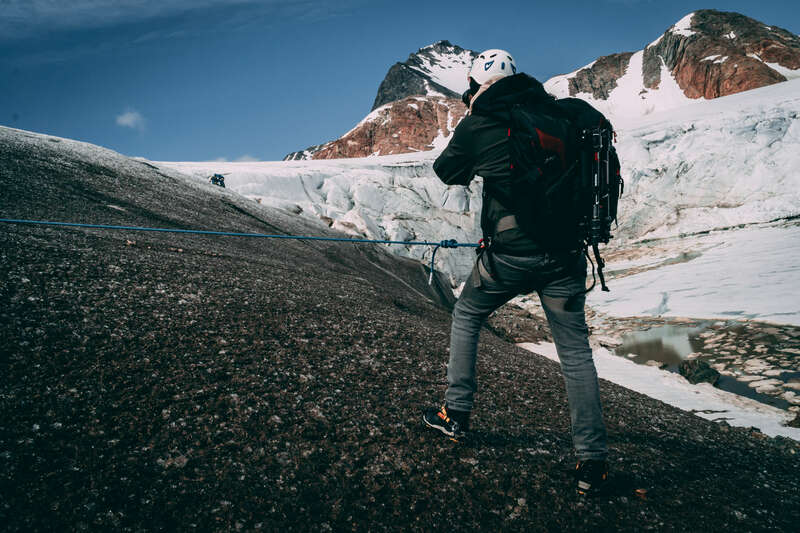 The Manfrotto backpack provided quick access to the camera and even allowed us to setup and launch the drone while hanging from the edge of the icefall. The second day we explored the abandoned WWII air base. It was used as a fuel stop during the war and was home to over 800 soldiers. 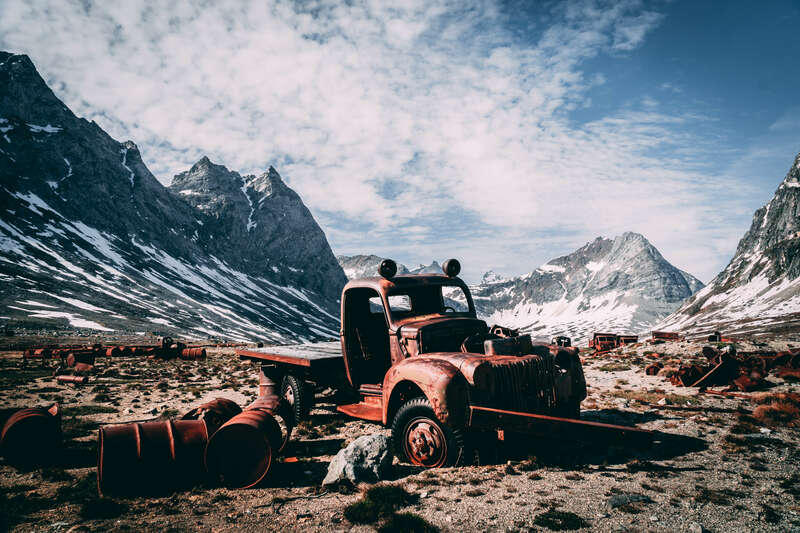 The area was a square mile wasteland, littered with dozens of old trucks, a collapsed airplane hanger and all types of paraphernalia from the war…GI helmets, original Coca Cola bottles and hundreds of rusted fuel barrels know to the locals as “American flowers”. The super fast setup of the Befree Live Carbon tripod and its lightweight design allowed us to run all over the abandoned base and shoot from several different perspectives in the hour we had before the tide left our boat stranded. Neither of us have ever used a tripod that versatile and easy to use. The results speak for themselves. In a world now saturated with Instagram photos of famous landscapes from Bali, to Iceland, to Thailand and more…it’s getting harder and harder to find new, undiscovered environments to photograph. East Greenland is special! It’s raw and wild. 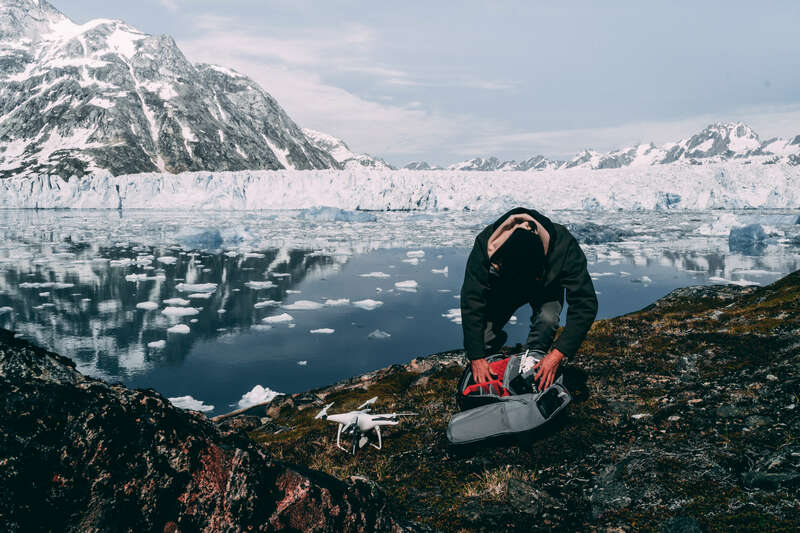 Walking through open tundra with a rifle slung over your shoulder, salty spray in the air and the only sounds coming from cracking glaciers or the crashing of ocean waves into the coastline, makes you feel like your exploring another world. The Manfrotto ProLight 3N1-36 pack and Befree Live Carbon Tripod were the essential tools to capture this unbelievable environment. It’s a true arctic treasure for travelers and photographers that likely won’t stay this way for long.